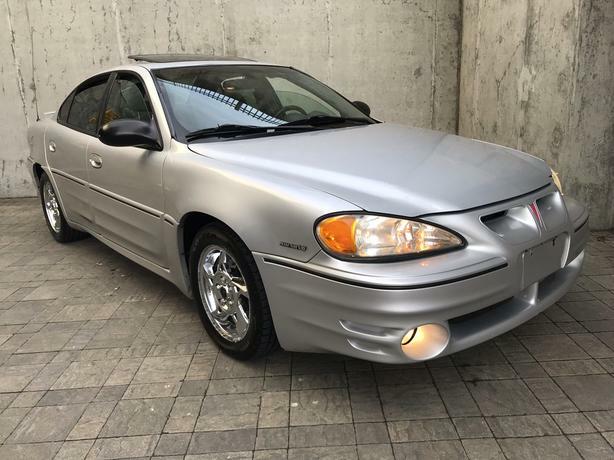 2003 Pontiac Grand Am 3.4 litre automatic with Ram Air and 191k That's right, it's a Ram air Grand Am. Fully loaded with power sunroof, tilt wheel, cruise control, power windows, door locks, mirrors and trunk, mag type wheels, quad tip exhaust etc. Runs and drives perfectly with brand new tires. -90 day 3000 kilometre comprehensive warranty available and extendable for up to 3 years 60,000k. NO DOC FEES, no pressure, happy to help you with your next vehicle purchase. Like me on Facebook using the website link to see detailed pictures, latest inventory and updates.